The smiling chap is the excellent Tony Kesten, a fellow-excavator at Whitehall Roman Villa. 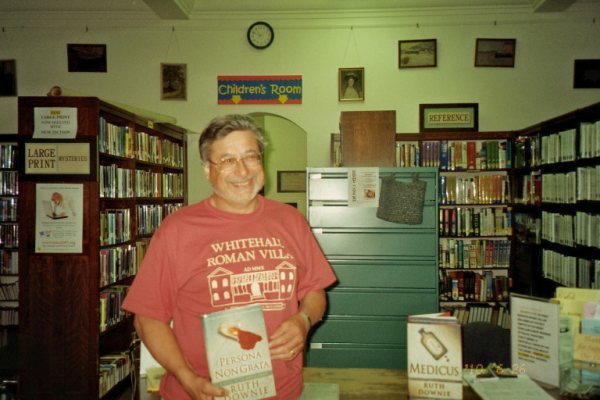 Tony happens to be a friend of the librarian at Monticello, NY, and managed to pull off a publicity double-act last week by giving copies of all three Ruso books to the library and having himself photographed with them while modelling this year’s Whitehall teeshirt. Now that’s what I call enterprising. Meanwhile, some of us were hard at work back in the trenches. "You mean I was supposed to find something down here?"